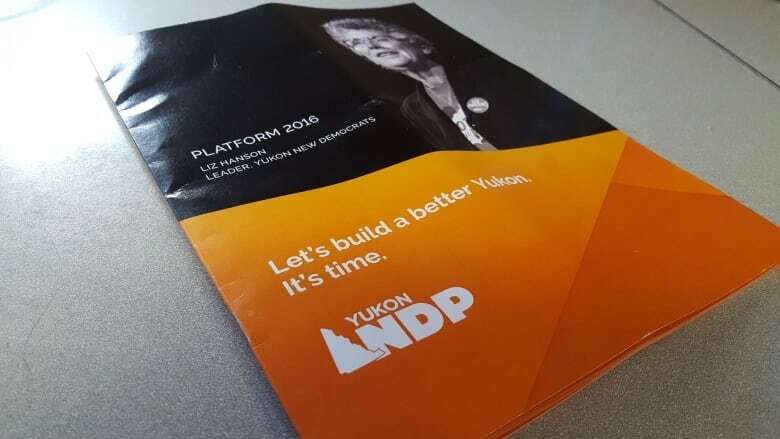 The Yukon New Democrats' election platform promises to do politics differently. It also pledges a new relationship with First Nations, millions of dollars for a Green Energy Investment Fund, and lower taxes for Yukon's poorest. The Yukon New Democrats unveiled a sweeping election platform on Friday in Whitehorse, promising a different style of government, protection for the environment, and a new relationship with Yukon First Nations. The NDP will offer "a government that believes in social justice and the well-being of all Yukoners, not just a chosen few," leader Liz Hanson told reporters gathered at the Yukon Arts Centre. The NDP was the last of the three major parties to unveil its full election platform this week, though many NDP promises have already been announced during the campaign, including $50 million over five years to help jump start a renewable energy sector in the Yukon. After five years in opposition, advocating for change, Hanson says the New Democrats are ready to implement their ideas. Hanson says her government would protect the Peel Watershed by assigning new "Peel-friendly" lawyers to the Supreme Court of Canada appeal hearing set for February. A long term priority, she says, is creating "a new Yukon", akin to the vision of Elijah Smith in his 1973 Yukon land claim document, "Together today for our children tomorrow." "If we can achieve that sense of reconciliation in the next five years, that will be an amazing achievement," said Hanson. The NDP leader says her platform promises are all affordable, including a plan to lower income taxes for Yukon's poorest, and raising taxes for those who can afford it. Additional funding, she suggests, will come from a carbon tax, proceeds of which will be shared with Yukoners in need.